To Test SALIVA: Wait 2 hours after eating & drinking. Do not rinse your mouth. 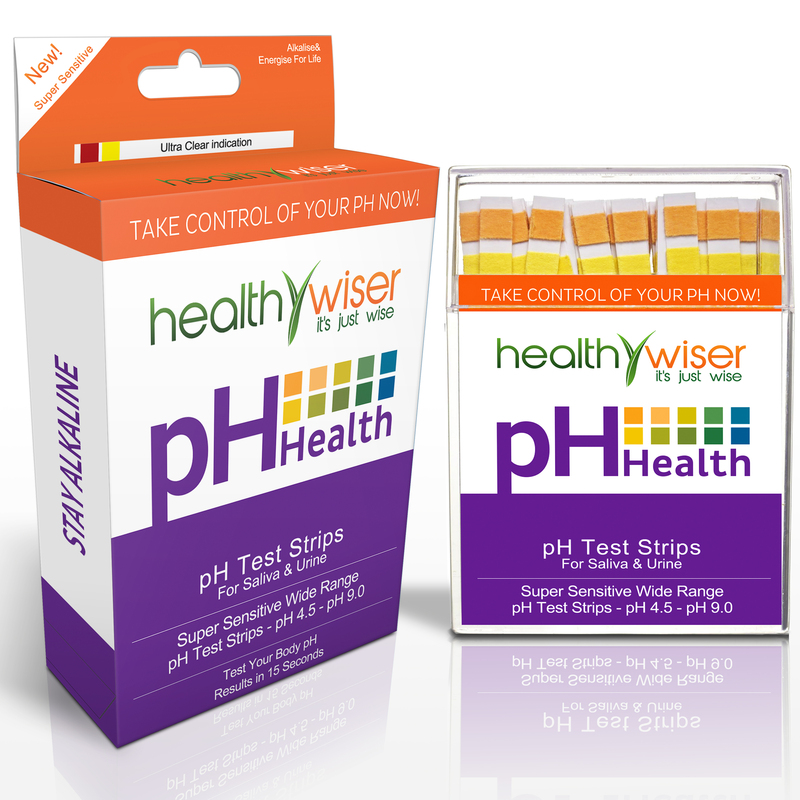 Spit saliva into a spoon, dip the HealthyWiser pH Strip into the fluid until both pads on the test strip are sufficiently covered with liquid; wait 15 seconds before reading your pH. To Test URINE: Test the first and second urine of the day and record the average reading. To test, briefly place the HealthyWiser pH strip in the urine – mid-stream, then shake off any excess fluid and wait 15 seconds before reading your pH. For saliva as well as urine: Wait 15 seconds before reading the results. The color of the indicator pads may change further after that, but the most accurate reading is taken after 15 seconds. Compare the color of both pads against the indicator chart on the packaging. Cassandra’s Review- So not for water and only saliva and urine, but they do work. I know people might get these confused with strips to test your pool etc. These are not for that. You will have to use them as directed to get accurate results. If your not able to test midstream during urination you can dip into a cup. The strips to not fall apart and are very easy to see the color. While there is not a whole lot of information on the product itself, you can find out more about your results online. Nathan K. is the winner!